Our world has never been so connected and, paradoxically, many suffer from loneliness, isolation or rejection. In the present edition of dogdotcom, you can read about two thrilling initiatives where dogs lend a paw to build the link between people and help them feel that, indeed, they do belong to our challenging society! Isn’t it exciting to witness how our beloved four-legged friends can be the vector of a more tolerant, more human world? 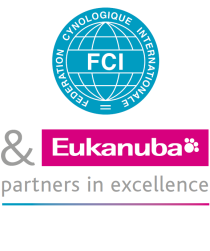 The FCI Headquarters, together with very enthusiastic members of the City Council, have launched a series of initiatives to have Thuin – the World Capital of Dogs – regarded as a major actor in the promotion of working dogs and their role in our society. We started by introducing the subject in 2011, during a conference at the local library presenting dogs’ positive effects on human health and well-being (http://newsletter11.dogdotcom.be/en/PRviyo.aspx); we now have this wonderful project with visiting dogs at the local nursing home and, very soon, we will implement another very exciting educational experience for children… but, shh! I am saying too much! The FCI General Secretariat is not only the administrative centre of the FCI members: one very important dimension of the FCI Headquarters is this of a showcase for all the FCI members’ activities, initiatives and efforts to promote the very special bond between men and dogs and how dogs influence their human companions for the better.
) your reports about any story where dogs act like heroes, healers, helpers and we will share them within our big family of dog lovers! Enjoy the summer and pamper your folks and pets!